“A change of protocol half way through an experiment reveals such a limited understanding of the scientific method that I am tempted to speculate that the government no longer wants to know whether the pilots are effective or humane. They just want to cull badgers, regardless of whether the population or humaneness consequences can be assessed.” Prof. Tim Coulson, member of the ex-Independent Expert Panel. The scientifically useless, inhumane and very unpopular government policy of killing badgers, supposedly to help eradicate bovine TB in cattle, is still being pushed by the Department for the Environment, Food and Rural Affairs (Defra), with the National Farmers Union stepping on their heels. How many more debates will be argued in Parliament, and how many more letters signed by scientists, vets and wildlife experts will be sent to Defra, to the Environment Secretary, to the Prime Minister and the national press before the government finally yields to science and lets the badger cull go? The second year of the culls ended with a bit of an embarrassing whimper. We can at least be grateful that Natural England was wise enough not to issue extended licences this year, but the leaked figures showed another failure. Before they even began the cull, the targets had already demonstrated that the process was a failure anyway. Had Defra pulled the figures out of a hat they wouldn’t have been any less realistic. Defra’s only response to the leak was: “The figures still need to be independently audited. The humaneness of the culls will also be reviewed.” Given the extremely poor records provided to the AHVLA and the Independent Expert Panel by the contractors last year, I doubt the figures provided this year will be any more accurate. As Defra got rid of the IEP, who are the ‘independent auditors’ they are proposing to use? Will the public ever know, let alone be able to judge their independence? Could it be NFU executives or a panel of grouse moor owners? A single auditor, perhaps? Certainly it would be difficult to get badger and wildlife experts to take part – they’ve mostly all migrated to the anti-cull camp. Nor is any date set for when Defra’s results will be made public. Which is why there was yet another debate among Members of Parliament in the Westminster Hall on November 4, this time to assess the culls. Though there were fewer MPs present than in previous debates, those speaking against the culls have become much more informed on the issues. Sadly the pro-cull side is still using the same arguments and justifications, dealing with the reservoirs in wildlife and all the rest. They must really believe that if you repeat something often enough it will turn into the truth. A vain hope. On the day of the debate the Journal of Animal Ecology offered to provide “a transparent and independent review of the available evidence”, a generous suggestion which was, of course, turned down by the Farming Minister George Eustice. Which greatly upset Neil Parrish, very much an NFU farmer from the West Country. Anne Main, who had led a previous badger cull debate, later responded to Bill Wiggin (Conservative, N. Herefordshire) , “I certainly shall give way to the branch of the NFU that is my hon. Friend.” Clearly the anti-cull MPs had identified the NFU’s influence on Defra as being a major part of the problem, and were giving it a good, if polite, kicking. 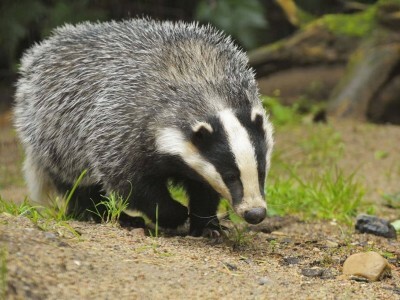 But the real heart of the debate was, and always is, that badgers are to blame for the spread of TB in cattle. We are asked to accept that vaccinating diseased badgers will not cure them of TB. Whoever, except pro-cull MPs, Ministers and the NFU, have ever suggested such a scientific silliness? And, however much they talk about the Welsh badger vaccination project, they will NOT talk about the real reasons behind the reduction of bTB in Wales. Might it be that that a policy covering the whole of Wales is working? But no. Back to the badgers. Geoffrey Clifton-Brown (Conservative, The Cotswolds) agreed. But what would George Eustice have to say about Wales and its reduction in bTB? Would he mention anything about Wales other than badger vaccination? Never. But as Farming Minister, he must have known what the latest bTB statistics were showing. Just two days later a notable list of 26 scientists and vets wrote to David Cameron, asking him to listen to science and abandon the culls. c) the introduction of mandatory pre-movement testing and risk-based trading across the whole country. And they kindly added an appendix that explained the latest statistics from Defra. For a pro-cull government, intent on keeping the NFU happy, they do not make comfortable reading. Nor do they support those NFU farmers who insist that bTB in the West is ‘out of control’. In the West Region, which covers a far greater area than that covered by the Somerset and Gloucester culls, the number of cattle slaughtered due to bTB fell by 12% between 2012 and 2013, and the trend is continuing into this year; the 2014 January-to-August period showed a reduction of 14% compared to the same period last year. In Wales there was a 15% reduction in new TB-affected herds and a 23% fall in cattle slaughtered during September 2013 – August 2014 compared to the same period a year before. But in the East and North Regions, the cattle-slaughter rate increased by 10.2% and 9.09% respectively from 2012 to 2013, with the trend continuing to rise this year. How can this be? It’s really very simple. The West Region has long been regarded as England’s bovine TB ‘hotspot”. As such, farmers have to put up with annual and pre-movement testing, as well as cattle movement restrictions with, initially, the greater levels of slaughter. Initially because, as infected cattle are found by increased testing and taken out of the herds, with each year fewer cattle can be infected. All of Wales has had such measures since 2009. In the East and North, however, there are many areas that have far less testing and cattle controls, and that opens the door to bTB. Are you listening, Mr Cameron? In the face of Defra’s own statistics, we don’t really need their ‘independent’ audit on this year’s culls. And surely we do not need any more debates, or letters to Ministers or emails to MPs. And we most certainly do not need any more senseless killing of the badgers. Farmers have to ask themselves – will they put up with the controls that result in healthy cattle or be put out of business by TB?